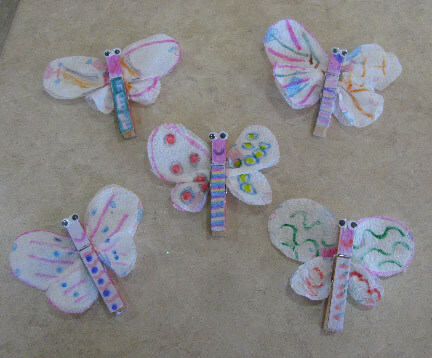 Mixed Media Artist: Butterflies with googly eyes! Still, they were fun to make. I primed them one night so they could dry before we started the next day. 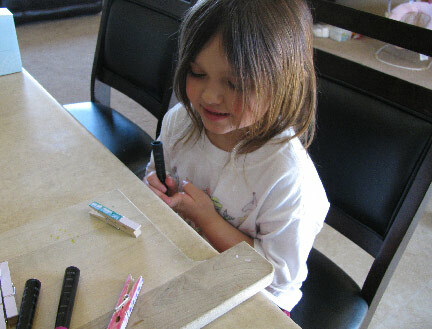 Katherine collected all her markers, and we were delighted to find out that she had a package of googly eyes in her craft drawer too! 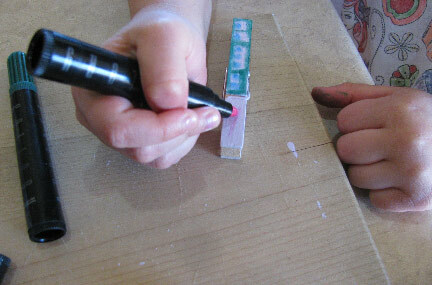 We used markers on the primed wood, and then I showed Katherine how to fold a napkin in half and cut out wings from the fold. We decorated those and attached them inside with a dot of glue. Two more dots of glue attached the eyes, and the happy bugs were finished! Adorable! What fun. Can I play, too?